Mark Devereux Projects’ represented artist Vicoria Lucas will be presenting a paper at a three-day conference taking place on July 4th-6th 2016 at Si Shang Art Museum, Beijing, China. Lucas’ paper is entitled Islands, Micronations and Sanctuaries: Escapism, Subversion and Liberation, and will focus on the following conference theme in relation to her practice research. 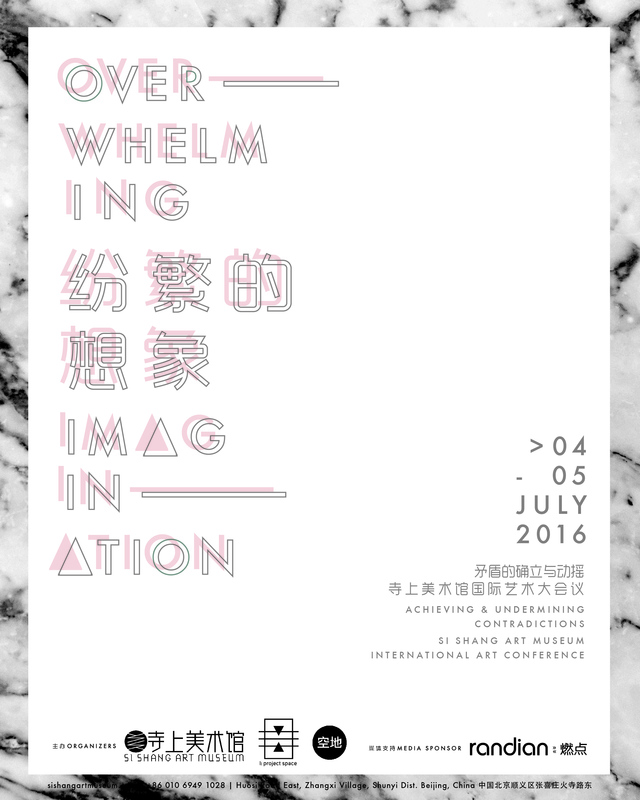 A two-­‐day conference, Overwhelming Imagination: Achieving and Undermining Contradictions, will be held at Si Shang Art Museum in Beijing, China from July 4-­‐5, 2016. This conference was organized as an exploration of the various “realities,” be they physical, spiritual, digital, or imagined, that we are forced to traverse on a daily basis as a result of the developments of global capitalism. It will be hosted by Si Shang Art Museum (Linyao Kiki Liu), I: project space (Antonie Angerer and Anna Viktoria Eschbach), and Open Ground Blog (Madeline Eschenburg and Ellen Larson). Three artists in residence Kelly Doley and Anahita Rasmi will also present as a part of the conference. Those wishing to attend either individual sessions or the entire conference must RSVP to [email protected] Attendance numbers are restricted and seats will reserved on a first come first serve basis.